All the character of the new Lamborghini Nitro is now available in a VRT version. 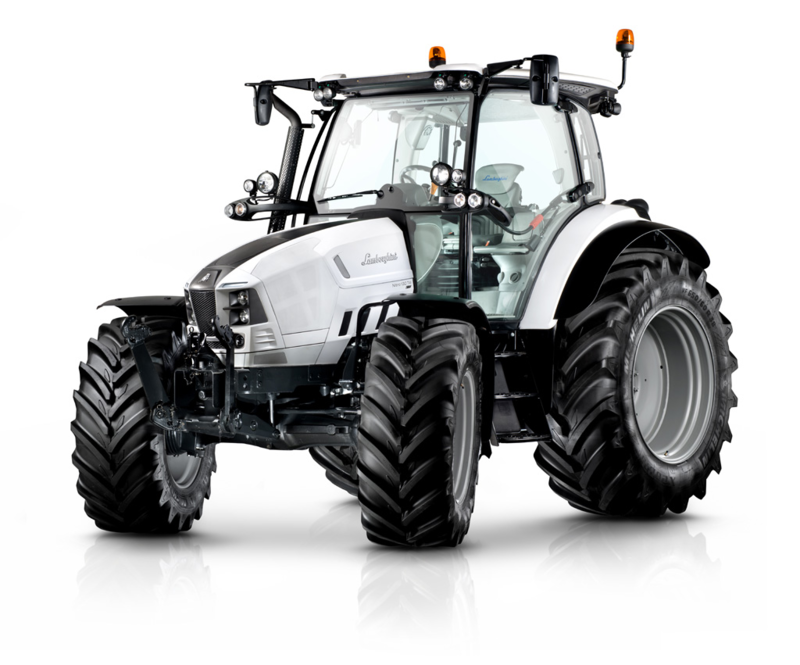 The tractor range of the ‘raging bull’ brand gains a new tractor with class-beating technology and design which is now offered with continuously variable transmission. It is a dependable workmate for the open field and general farm duties such as ploughing, secondary tillage, hay-making and working with both front and rear implements. Dynamic, original styling penned by Giugiaro Design: The black and white colour scheme, aggressive, low profile of the hood and rounded forms of the body emphasise the bold personality of the latest machines by Lamborghini Trattori. The 3.6 litre four cylinder Deutz Tier 4i engine combines superb performance with fuel economy, producing an impressive 127hp, and 480 Nm of torque over a wide range of engine speeds from 1,600 to 2,000 rpm, and the Common Rail fuel injection system uses dual high pressure injection pumps to minimise fuel consumption. The extraordinary combustion efficiency of these Deutz engines makes it possible to achieve compliance with Tier 4i regulations using only a DOC exhaust after-treatment system. The new continuously variable transmission also contributes to driver comfort and makes the Nitro 130 VRT a versatile and user friendly tractor to operate. 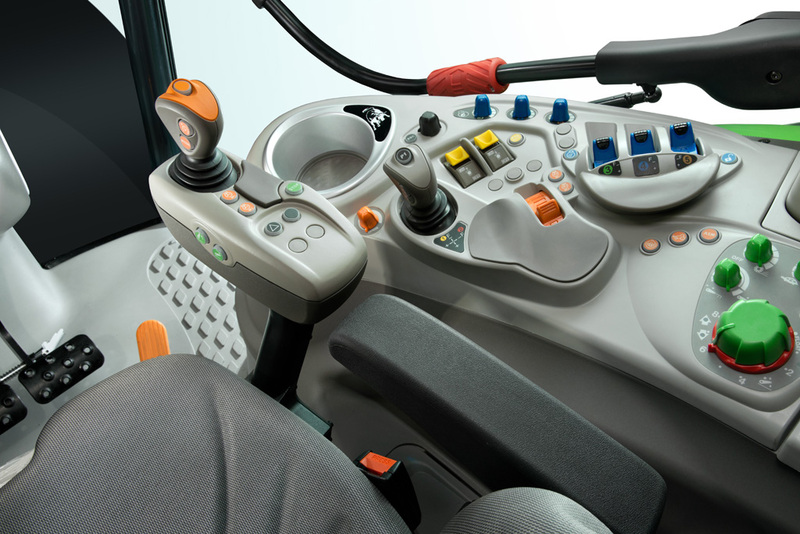 Three modes (automatic, manual and PTO) enable the driver to select the right configuration for the job in hand. Two speed ranges, from 0-23 and from 0-50 Km/h, ensure progressive speed control and completely automatic ratio selection from the field to the road. A top speed of 50 Km/h or 40 Km/h is achievable even with the engine running at economy speed. The PowerZero function holds the tractor safely in a stationary position without using the brake pedal, and lets the driver set off again using only the accelerator pedal. With an electro-hydraulically operated progressive independent multiplate wet clutch and three selectable speeds (540/540ECO/1,000 rpm), pto operation is also impressive. These tractors are offered with hydraulic systems which make full use of the potential of the tractor. The package includes single or dual pumps with capacities of 60 or 90 l/min, up to five 10-way rear distributors with Energy Saving function, powerful, precise electronically controlled rear linkage with a load capacity of 6,600 Kg, SDD rapid steering system, front axle suspension and PowerBrake assisted braking system. Using the 60 ECO option available with mechanical distributors, the hydraulic system is capable of delivering 60 l/min of oil flow at an engine speed of just 1,600 rpm. Boasting an impressive load capacity, the electronic front lift lets the driver operate implements with precision. The rear linkage of the Nitro 130 VRT can lift up to 4,650 Kg, and this capacity can be further increased to 6,600 Kg with the addition of assistor rams. The lift controls are duplicated by two buttons on the rear mudguards. Working with Lamborghini Trattori means working in style. Developed in collaboration with Giugiaro Design, the cab is a fusion of ergonomics, function and style. With exclusive materials and superior build quality, the interior of the Nitro 130 VRT is inviting and elegant. 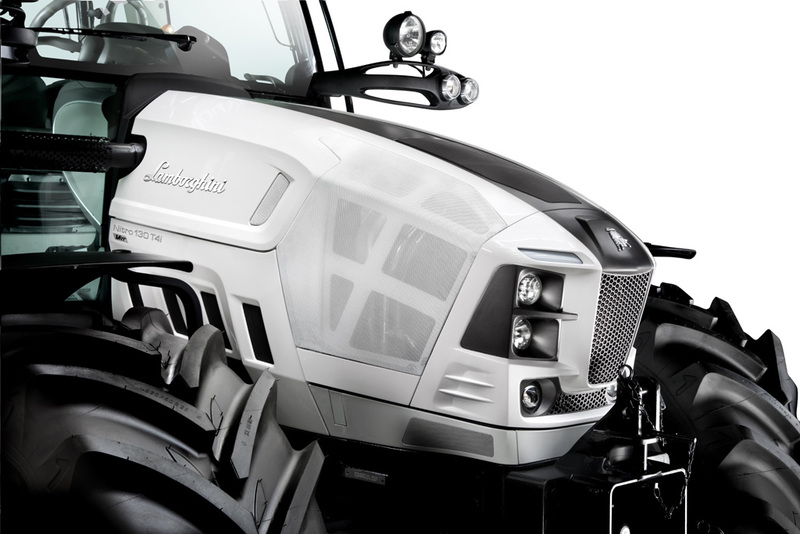 The tractor may be equipped with up to eight work lights which can also be switched on and off from a centralised control panel on the A-pillar of the cab. The cab is available with a choice of mechanical or air-sprung suspension and the combined effect of the sprung cab and axle optimises performance on rough terrain and at high speed, reducing the vibration experienced by the driver. 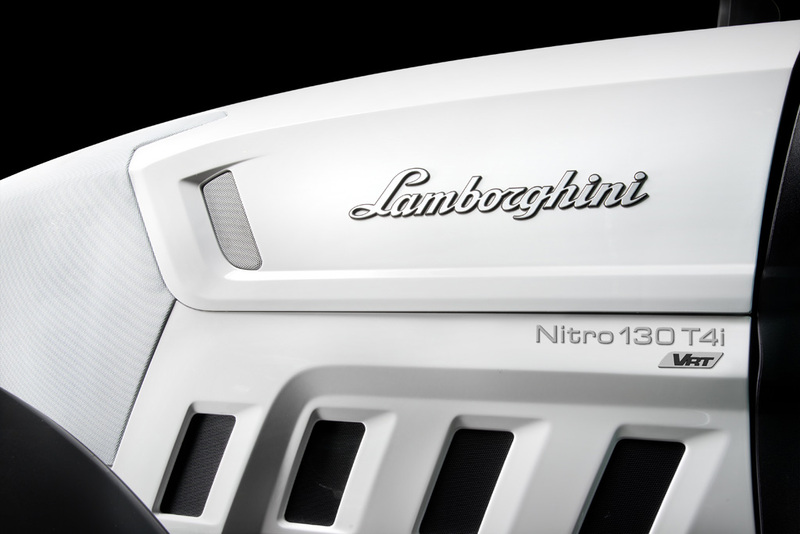 With the Nitro, Lamborghini Trattori has ushered in a new era of tractors with a unique character founded on style and technology. And the Nitro 130 VRT takes this a step even further, with the versatility and performance of a continuously variable transmission.